I guess it was only a matter of time before a top tier name tossed their hat into the recently energized privacy arena. At least with a big name behind it (and the fact that it’s just now being created), confidence will probably be high that the device will be as secure as they say. John McAfee — the controversial founder of the anti-virus software company McAfee and has been under investigation for the shooting death of his neighbor in South America — wants to create a gadget called “D-Central” that would theoretically block the National Security Agency (NSA) from accessing your information. During a speech at the San Jose McEnery Convention Center this weekend — and as reported by The Verge — McAfee detailed how he aims to build a $100 device that works with smartphones and other devices, so personal data can’t be accessed by the government. It would work on a small private network that others wouldn’t be able to infiltrate. 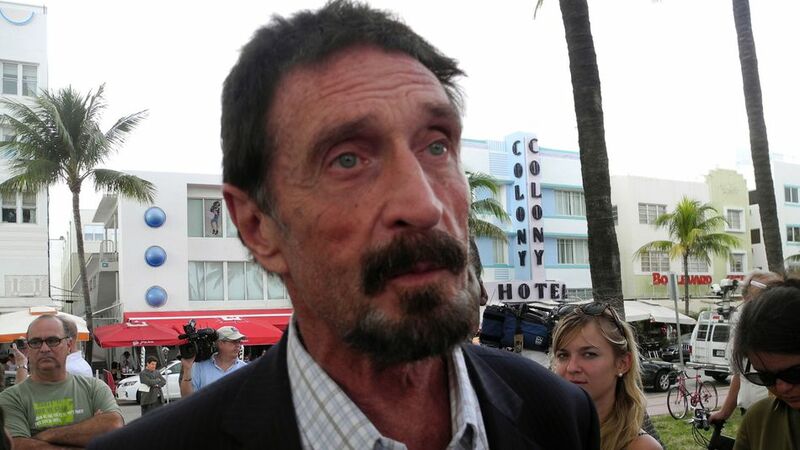 “There will be no way [for the government] to tell who you are or where you are,” McAfee said. The device would be localized and the network only covers a distance about three blocks long. Although there isn’t a prototype just yet, McAfee said it should be done in about six months and as of right now, it’s round in shape with no screens, the report said. “We have the design in place, we’re looking for partners for development of the hardware,” he added. The “D-Central” concept isn’t entirely new. Occupy.here, which was developed as a part of the Occupy movement, offers a distributed network of Wi-Fi locations for people to communicate — and in its case, especially activists and supporters. Meanwhile, FredomBox has built a secure system for connected devices and offers free and private chatting. The device, funded via Kickstarter, is priced at $50 and plugs into the wall.